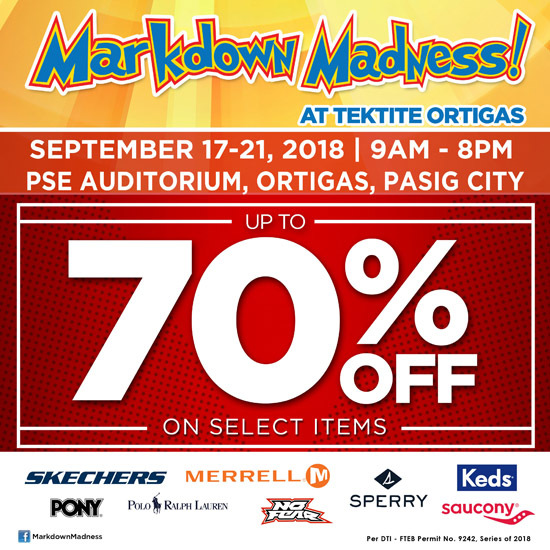 (SPOT.ph) Calling all sneakerheads: Markdown Madness is back and it's happening from September 17 to 21, 9 a.m. to 8 p.m., at the Philippine Stock Exchange Center Auditorium in Tektite Towers, Ortigas Center, Pasig City. 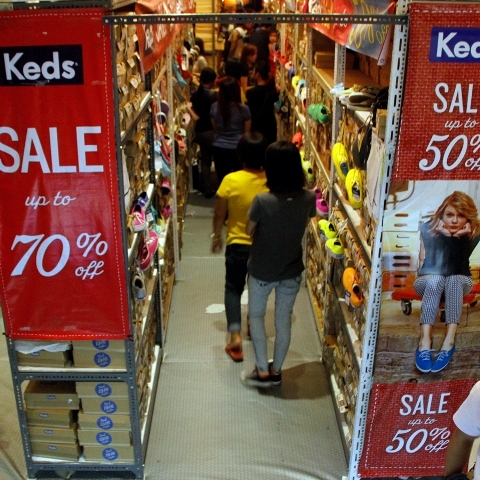 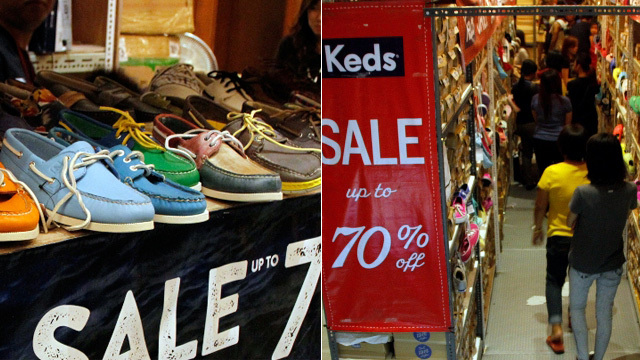 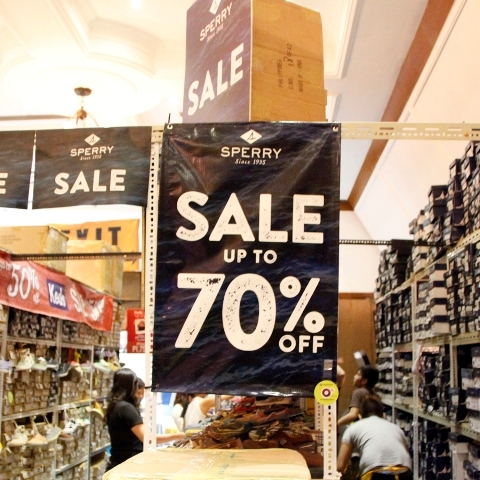 You can get discounts up to 70% off on cool pairs from Keds, Sperry, Pony, Skechers, Saucony, and more. 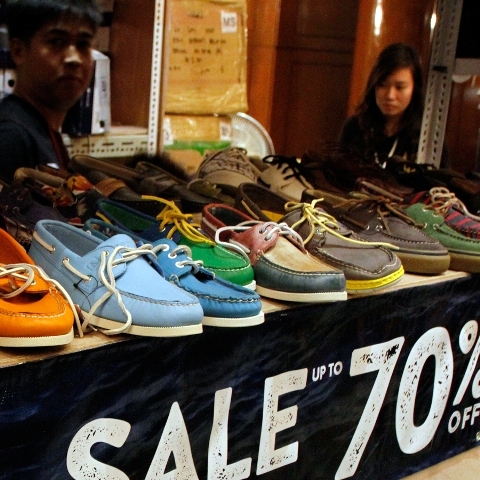 Mark your calendars because you wouldn't want to miss this five-day sneaker sale!